WHAT: New Year's Eve Kid's Countdown Party! Boston Pizza in Toronto (Yonge & Sheppard location) is throwing a GREAT Kid's New Year's Eve Countdown Party on Monday December 31st, 2012 from 5:00-7:00pm! (Different seating times are available from 5:00-5:45pm.) It's set early in the evening, so kids are not left out of New Year's festivities! The party is intended for kids aged 0-12 years old, their parents, friends and family! Priced very cost-effective for New Year's Eve! At the New Year's Eve Kid's Countdown Party there will be face painting, games, a Boston Pizza children's gift pack, a visit from the Boston Pizza furry blue mascot "Lionel", and a "Faux" Midnight Balloon drop at 7:00pm! Each family will receive a goody bag featuring items from the community! Good cheer, fun and festivities will be had by all! Check out the great time we had at Boston Pizza last time! Book tickets ASAP to avoid disappointment. Child Event Ticket ($6.99): Includes choice of ANY Kids Meal, shown here. Adult Event Ticket ($24.99): Includes a Starter Salad, Entree, *No Mains, Some Restrictions with Set Menu*, and a brownie and ice cream. Food costs do not include tax and tip. Boston Pizza is TTC accessible and has plenty of parking (Boston Pizza validates parking)! Call 416-733-3172 to book tickets and arrange ticket pick up. When booking, please advise of any allergies, and if you'll need a booster, highchair or if you'll be bringing your own. Tickets can be booked on the phone, but must be paid in person. Bookings available from 5:00-5:45pm. Pre-picked seating. Tell them that SnyMed sent you! Join the Boston Pizza Facebook Event Page, here! 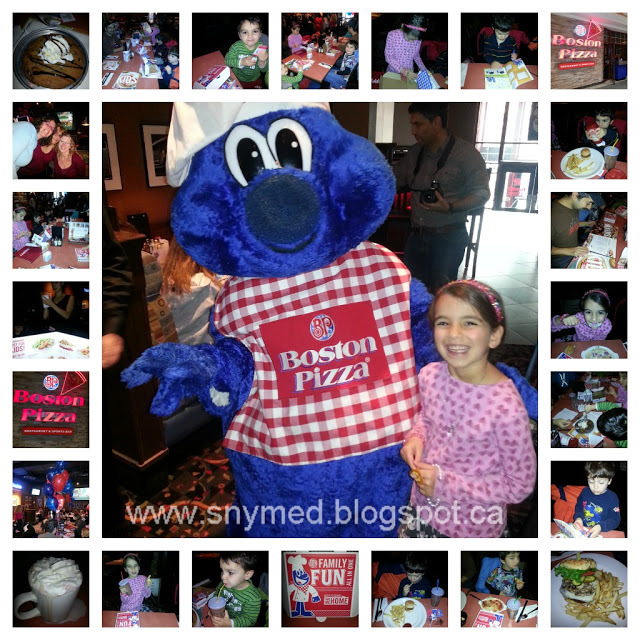 Fan Boston Pizza Yonge & Sheppard on Facebook! Follow Boston Pizza Yonge & Sheppard on Twitter! My family and I enjoyed Disney on Ice: Worlds of Fantasy so much, that I wanted to tell you about Disney on Ice: Rockin' Ever After! It's coming to the Roger's Centre in Toronto from March 13th - 17th (during March Break)! Disney on Ice showcases your family's favourite Disney characters, figure skating, great music, enchanting lighting, fabulous costumes--and magic! Magic can include anything like fairy dust to characters really flying above the ice rink! After seeing Disney on Ice: Worlds of Fantasy by Feld Entertainment, I highly recommend that you take your family to see Disney on Ice: Rockin' Ever After! It's the icecapades, twirling-whirling dance, and a musical spectacle all rolled into one--and it will "rock" your socks off! There's not a bad seat in the house, with an excellent view of the rink for everyone! 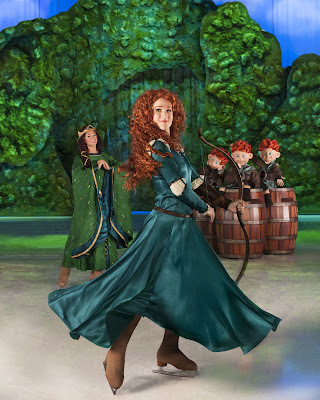 Some of the acts in Disney on Ice: Rockin' Ever After feature Belle from Beauty & the Beast, Merida from Brave, Rapunzel from Tangled and Ariel from The Little Mermaid. The Little Mermaid was also an act in Worlds on Fantasy and it was very entertaining. Mickey, Minnie, Donald, Goofy & the Gang! If you have a Disney Princess fan in your household, or a fan of the Disney films, then the Disney on Ice: Rockin' Ever After show is right for you! It is absolutely appropriate for the whole family. In fact, I brought our five children, aged 2-7 years old, and they all were delighted! As an adult viewer, I also enjoyed the show, including some jokes intended for the parents, the figure skating and the overall charm of the show! Use DISCOUNT CODE MUM4 to receive 4 tickets for $44 on weekdays, or $4 off per ticket on weekends! Promo Code excludes Front Row, Rinkside, and VIP tickets. No double discounts. Additional Fees May Apply. Weekday is defined as Monday through Thursday. Weekends are defined as Friday through Sunday. Limit of four (4) per purchase. 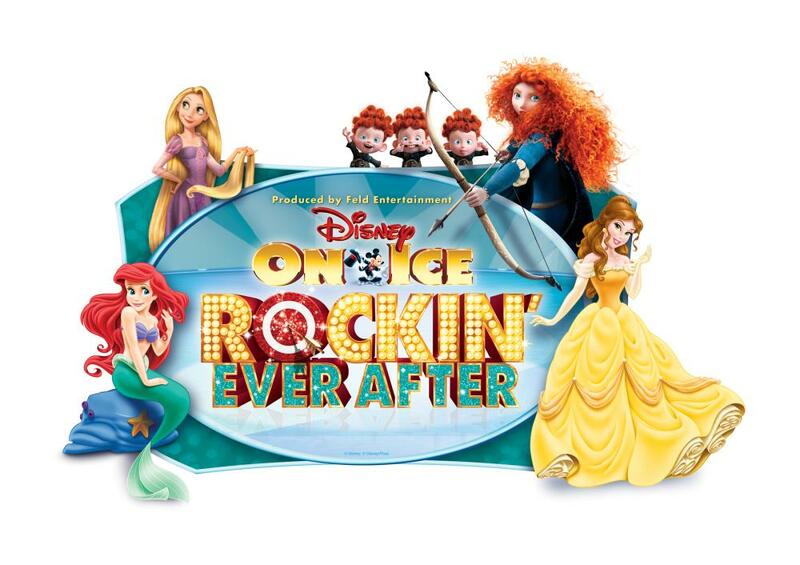 Buy Disney on Ice: Rockin' Ever After Tickets! 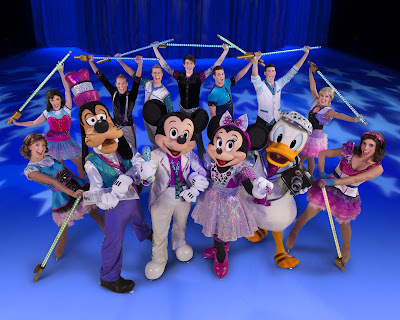 Fan Disney on Ice on Facebook! 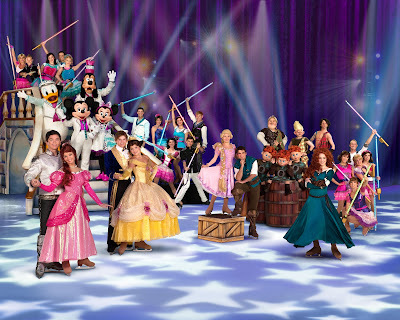 Fan Disney on Ice on Twitter! WIN Family Tickets for 4 to see Disney on Ice: Rockin' Ever After in the Roger's Centre in TORONTO, on Wednesday March 13th, 2013 @ 7pm (this is during March Break)! (Please note: date and time of tickets may be changed prior to contest closing.) Open to CANADA, runs Thurs Dec 27th, 2012 to Friday March 1st, 2013. See Blog Terms & Conditions. 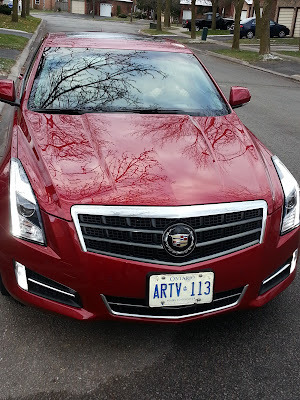 IMPORTANT: The lucky winner will be contacted on Friday March 1st, 2013 just after 8:00pm EST. Check your e-mails & spam at that time! Leave a COMMENT below stating which Disney character you or your child would like to see on ice the most (ie: Belle, Merida, Ariel, Rapunzel, Minnie, Mickey, Donald, Goofy, etc)! Then use the ENTRY FORM to enter. Good luck! Top 10 Retro TV Commercials & Jingles of My Childhood! 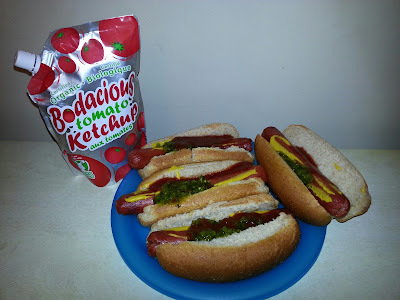 When I was a child in the 1970s and 80s, there was a plenitude of catchy commercials and singable jingles! My little friends and I would belt out these advertisements with the same fervour and conviction that we used to sing "The Ship Titanic" song! Many of these commercials had enough staying power to last a lifetime, and have been permanently imprinted on my memory. Here's a list of the best 10 commercials and jingles that I remember from my childhood, in no particular order. 1.Nair Who Wears Short Shorts? This commercial featured a singing group of young women who danced and pranced around with smooth, silky legs--thanks to Nair hair remover! Beauty still sells products, but you don't see the singing so much anymore! "Who Wears Short Shorts? We wear short shorts! If you dare wear short shorts, get Nair for short shorts!" 2.Faberge Organics I Told 2 Friends & They Told 2Friends - This was one of the earIiest commercials that I recall that featured the "screen-splitting" special effect. It started as a single frame of a beautiful woman on the screen, and her image kept splitting and multiplying into many of the same women. This woman liked Faberge Organics so much, that she told 2 friends about the product, then they told 2 friends, "and so on, and so on". Need I say that the commercial was parodied a great deal! 3.Be Very Careful Don't Cook Your Goose! Here's a child's game that I recently picked up again at a garage sale. The game was a cooking "pot" with a swinging board on which to balance little colored geese. The player who could keep their geese from falling into the pot was the winner. As the commercial panned to happy children playing the game, the jingle chirped "Be Very Careful Don't Cook Your Goose! Don't Cook Your Goose! Don't Cook Your Goose!" 4.Welch's Tired of Orange? Turn Purple! A bored little boy sat in an entirely orange kitchen. He wore an orange t-shirt, had an orange table napkin, orange kitchen fixtures all around him--and a tall glass of orange juice. "Tired of Orange? ", a voice queried, "Turn Purple!" Suddenly all the elements in the commercial turned purple, including the little boy's t-shirt and his kitchen. 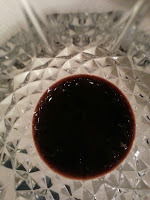 Of course, the glass of orange juice transformed into a glass of Welch's Grape Juice--and the little boy's frown was corrected with a smile! Way to go, Welch's! 5.Eno: When Indigestion is the Burning Question - I was just a child, so obviously not taking antacid tablets, but I still remember the Eno commercial to this day. 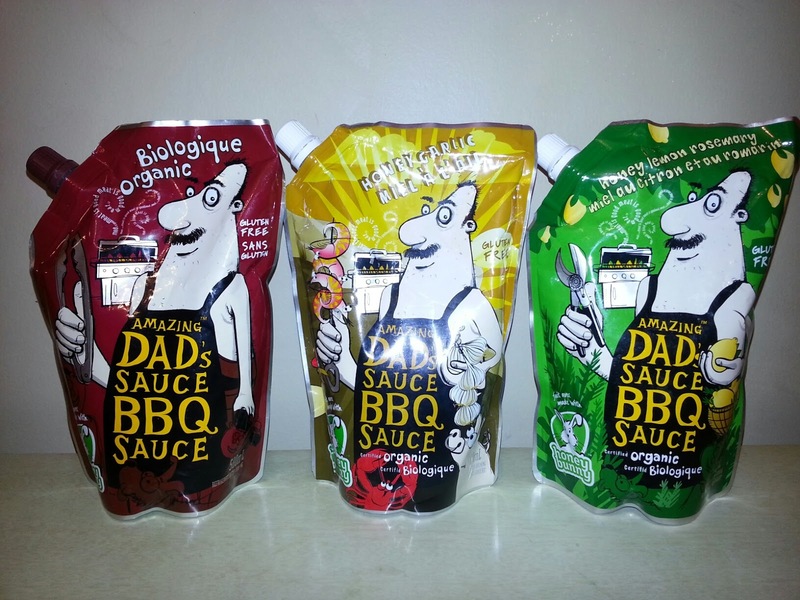 "When indigestion is the burning question, get fast relief with Eno! When your stomach says no, take Eno! Ahh! My friends and I took turns making the "Ahh" sound! 6.Alka-Seltzer - The market for indigestion products must have been really competitive when I was a child, because I also fondly remember one commercial for Alka-Seltzer. Various parodies also sprung from this one jingle. "Plop plop, fizz fizz, oh what a relief it is!" The demonstrative nature of the commercial was also memorable: two white tablets were dropped into a glass of water and began fizzing impressively! I've always been a sucker for a demonstration! There were many different versions of this commercial, starting in the 1960s. 7.Zips Sneakers - I can still remember this commercial, although my parents refused to buy me these sneakers. Zips claimed that "they make your feet run faster". (Try that claim today without getting slapped with a class action lawsuit!) The commercial showed children wearing their Zips sneakers as they participated in various fun activities. The signature of Zips was a child drawing a big "Z" in the sand using their Zips sneakers! Oh, how many times did my friends and I draw that very same Z in our sandbox! 8.It's Slinky! Most everyone has heard of Slinky, the metal accordion toy! I remember watching the commercial with fascination as the Slinky slunk down an entire flight of stairs. Meanwhile the jingle goes something like this: "It's Slinky, It's Slinky! For fun it's a wonderful toy! Fun for a girl or a boy!" Got to love the green shag carpet in the commercial! 9.Life Cereal: He Likes It, Hey Mikey! I had to look up the commercial to find out it was for Life cereal, but I do remember the rest of the commercial. Two young brothers sat at the breakfast table, and didn't want to try Life cereal because they heard it was good for them. So they decided to pawn it off on their little brother Mikey, who apparently hated everything. But surprise, Mikey immediately started eating and savouring the cereal! So one brother intoned in disbelief: "He likes it! Hey Mikey!" Another widely parodied commercial. 10. My Little Pony Pretty Parlor - My Little Pony is still going strong to this day, but I remember when it was called My Pretty Pony. This commercial showed little girls playing with their My Little Ponies and dressing them and styling their hair in a "Pretty Parlour"--kind of like a plastic toy stable. Don't quote me, but the jingle goes something like this: "My Little Pony Pretty Parlor! You can pretty up your pony there! My Little Pony Pretty Parlor! My Little Pony has pretty hair!" This blog post was written by me, Jenna Em, and also appears in the December 25th, 2012 issue of the Huffington Post! Is It Time for a New Computer? 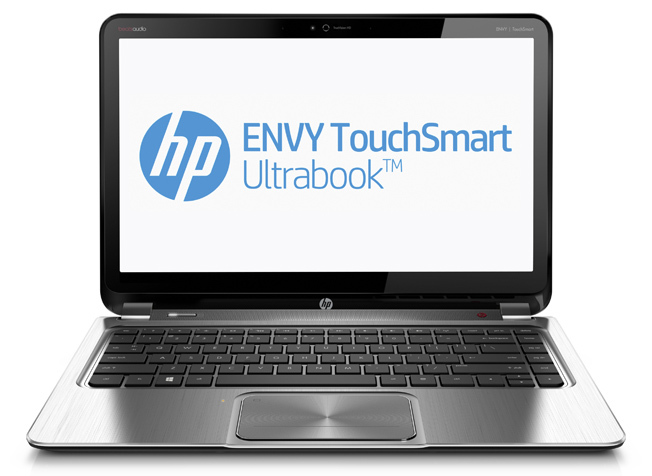 HP ENVY TouchSmart Ultrabook 4 Review! 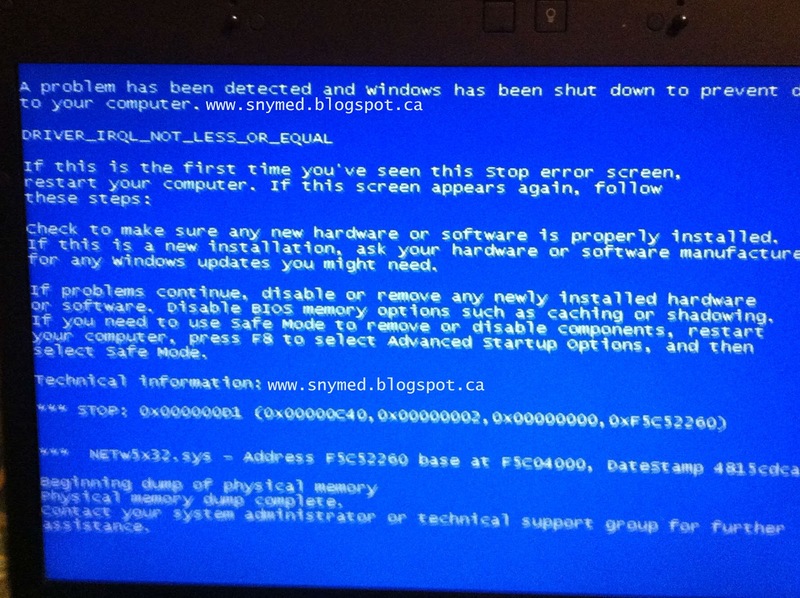 A Broken Laptop I've Dubbed "The Matrix"! 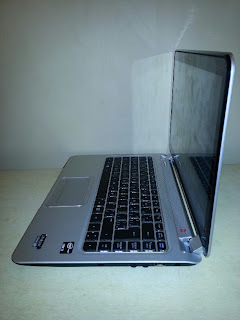 I own 4 laptops, all broken in different ways. There's the computer that the kids snapped off all the keys to make “alphabet soup”, one with spotty wifi connection, the antique that’s incompatible with today’s technologies, and the one I’ve dubbed “The Matrix” due to the strings of binary code it displays. But the plain truth is 4 broken computers put together still do NOT equate with 1 working computer! Having attended the Windows 8 party in Toronto this October, I was well-acquainted with the HP Envy TouchSmart Ultrabook 4 and wanted one of my own. And I even put it on my Christmas wishlist. This Ultrabook is the marriage of a quick laptop and an intuitive touchscreen. Add to it the new interface of Windows 8, and you have a GREAT computer. 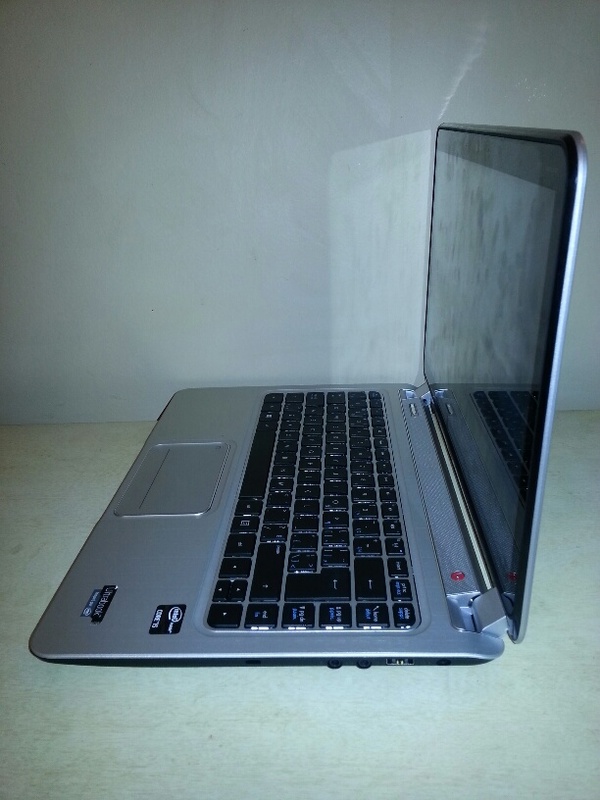 Some awesome specs include: 3rd generation Intel Core i5-3317U Processor (1.7 GHz), 500GB Hard Drive, 8192MB DDR3 SDRAM, Hard Drive Acceleration Cache (32GB Solid-State Drive Cache), Windows 8, 14.0" Diagonal HD BrightView LED Display, WLAN & Bluetooth and beats audio. 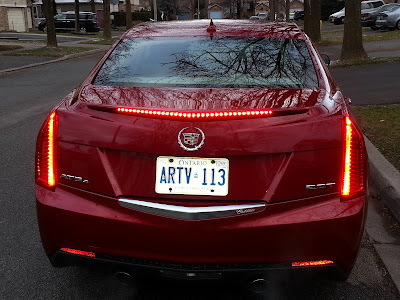 The BrightView LED means an excellent picture when watching movies on the laptop! And the beats audio system equates with a terrific sound for all your music and audio tracks! Trying Out the HP Envy TouchSmart Ultrabook 4 at the Windows 8 Party! When the HP Envy TouchSmart Ultrabook 4 arrived at my front door, I was surprised by how slim the box was! (Yes, I got my most-needed item on my Holiday wishlish!) 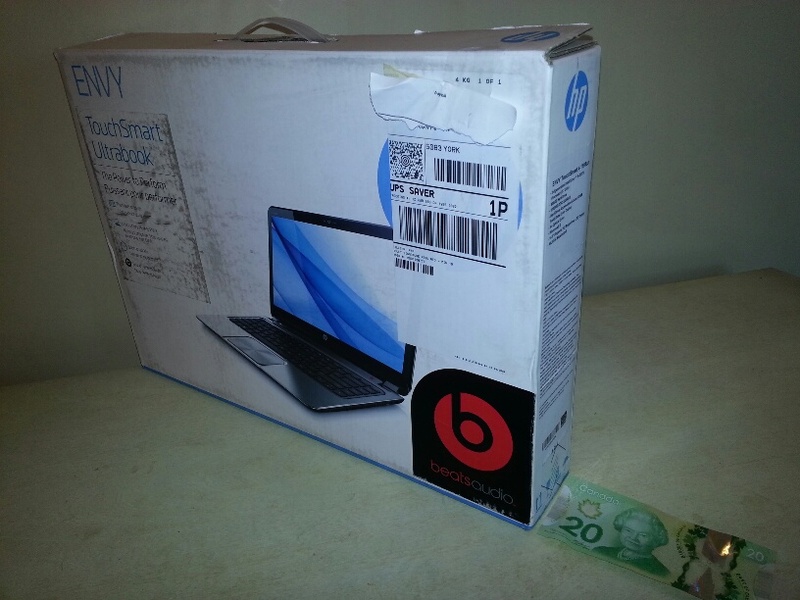 The box it came in was only as wide as a dollar bill, which made me realize that the laptop inside the box was extremely slim (I had not measured it at the Windows 8 launch party, of course)! 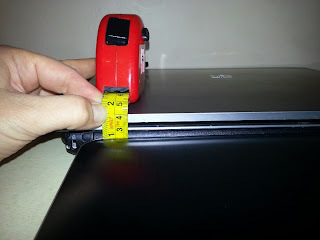 I took the laptop out of the box and measured it: only 2 cm, vs. 4 cm for my husband's old HP EliteBook work computer! 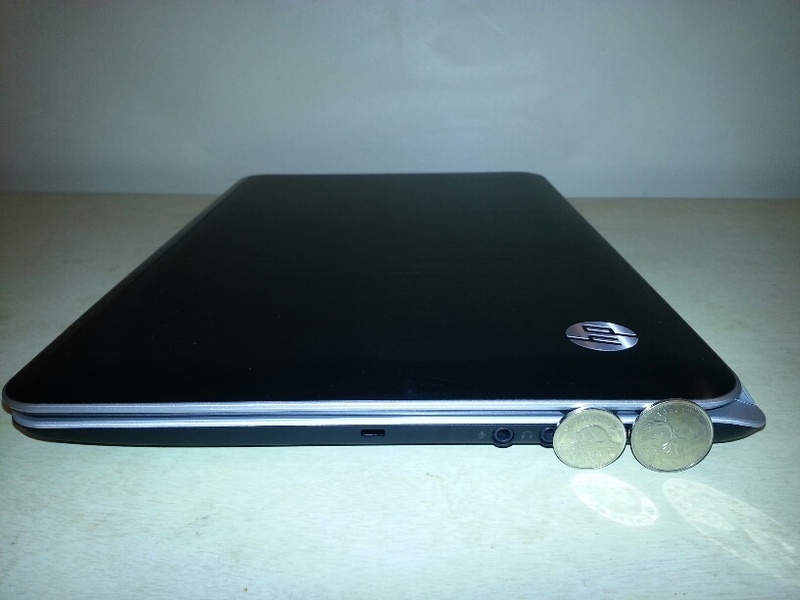 The new HP laptop is literally half the thickness of it's distant cousin! Would you believe that its thickness is just bigger than a nickel, or just smaller than a quarter! Just 2 cms! Bigger Than a Nickel, Smaller Than a Quarter! 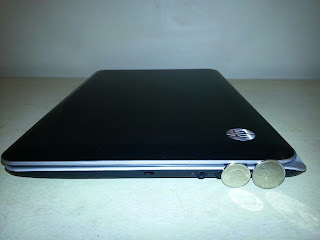 of the old HP EliteBook! After I measured the laptop, I plugged in the unit and it literally took me minutes before it was all set up and ready for me. This is the true meaning of "plug and play" and I'm sure what HP intended for its users. 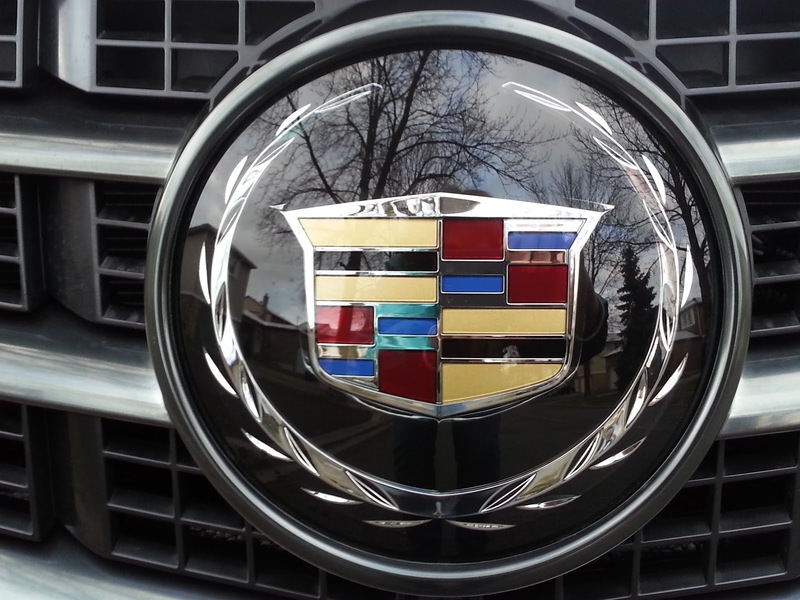 I looked it over and liked that it was two toned: the top was brushed black steel, and the bottom a brushed silver. I also took inventory and counted: 2 internal microphones, a webcam light and webcam, touchpad light, HP Triple Bass Reflex Subwoofer, 2 speakers, 1 RJ-45 network jack, 1 HDMI port, 2 USB ports, 1 security cable slot, 1 audio-in (microphone) jack, 1 audio-out (headphone) jack, 1 USB charging port and of course the power connector slot (well, could there not be one)! I also took note that they was no optical drive (dvd/cd rom drive), which was great (after all, who uses these anymore)! I'm all about features when it comes to my laptop. As I use my computer mostly for writing and social media, the keyboard has to work well for me. For example, I love the low profile keys on the HP Envy Ultrabook keyboard--and that you can choose to have the keyboard light up when working in dim light. 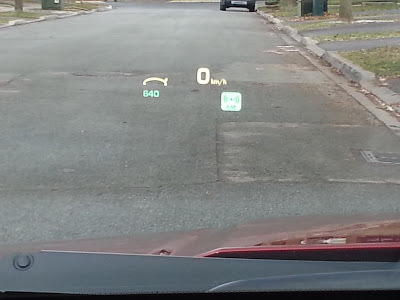 It only took me a few times trying to refresh using hotkey f5 to realize that this turns on and off the illumination feature! To type using the touch screen interface, simply touch the "keyboard" icon at the bottom right of the screen, and you can type directly into the virtual keyboard that appears on the screen (similar to a tablet)! 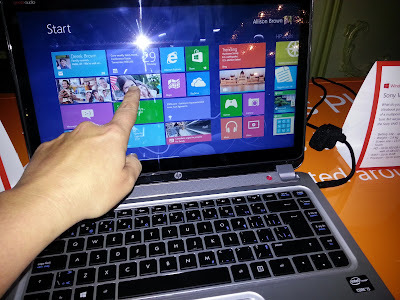 To make my opinion known, I love how Windows 8 interfaces with the HP Envy TouchSmart Ultrabook 4. The colorful squares and rectangles shown in the photo above, allow the user to customize the Start area with applications and websites that are the most commonly used. This is so much faster than bookmarking! As soon as I got started, I pinned Twitter, Facebook, Microsoft Outlook, My Blog, Gmail and Microsoft Word all to my start menu. Windows 8 uses "live tiles" to show current news and events, even if you are not visiting websites online. It is a very handy way to stay in the know, without actively seeking news. 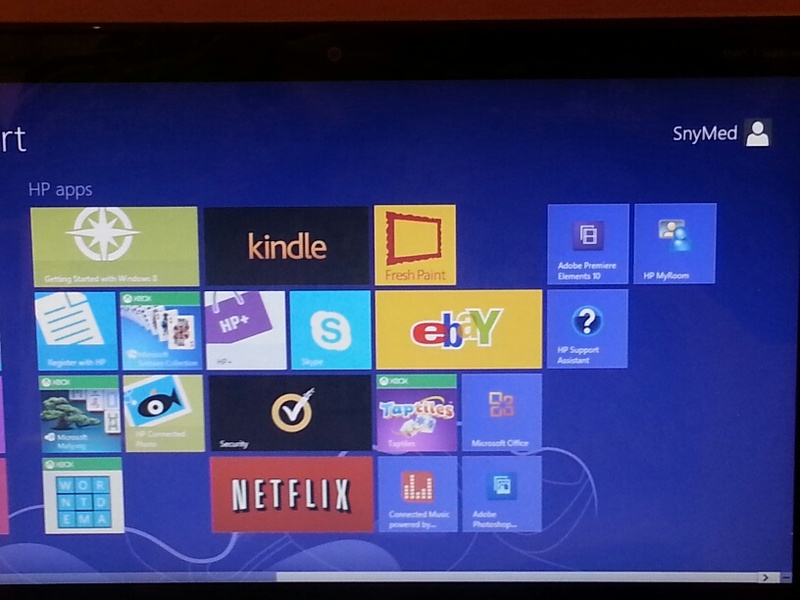 Windows 8 also has some preloaded websites in the Windows 8 menu, which the user is able to keep pinned (or unpinned). Some of these preloads include Kindle, Ebay, Netflix and lots of XBox functionality (not all shown in the above photo)! I do like that visual search engine Bing is used in Windows 8, and its horizontal layout is a refreshing change to the usual chronological top to bottom view. I also like its pictorial layout, rather than text only format. The HP Envy TouchSmart Ultrabook 4 integrated touchpad mouse is generous in size, measuring about 2.5" H x 4" W, allowing excellent control of the laptop. Of interest, Windows 8 commands are built into the touchpad, and by learning specific swipes and gestures, the user can control Windows 8 using the touchpad. As I tend to rest my hand on the touchpad while I am typing, I turn off this feature while working on written documents. 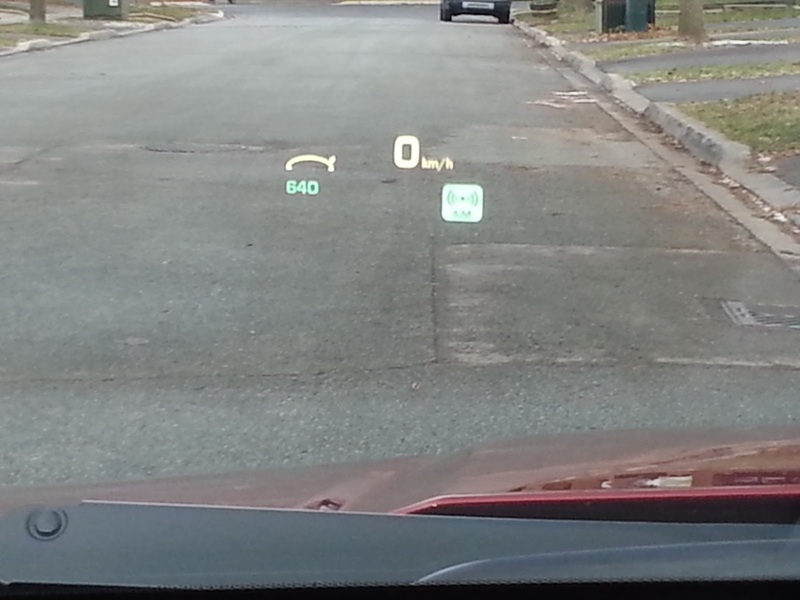 (It can be turned off simply by touching the rectangle at the top left of the touchpad.) Otherwise, the window I am working on may temporarily disappear and a new one will open. Or the text I am working on will be resized--or my view will zoom in or out. This will take some more practice on my part using it while in active writing mode, but I do like the built-in touchpad shortcuts. In terms of the touchscreen integration into the laptop, I love it! For me, it is all about choices and how I feel like using my laptop at the moment--or for a specific task. For example, I prefer using the touchscreen when browsing the internet, and not for written tasks. 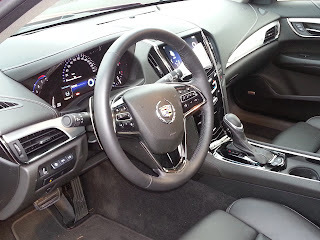 I will watch videos on YouTube using the touchscreen, or search the internet for photos and images. I do like that the Windows keyboard icon on the keyboard allows you to switch between both "worlds" (the Windows 8 Start Menu World, and the familiar Desktop World)--and that Microsoft 8 has a preloaded Desktop tile in case the desktop goes astray! 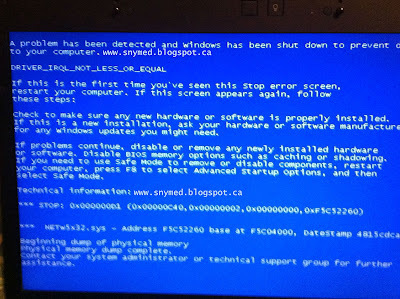 An article about Windows 8 is forthcoming, so I'll save that for another day. 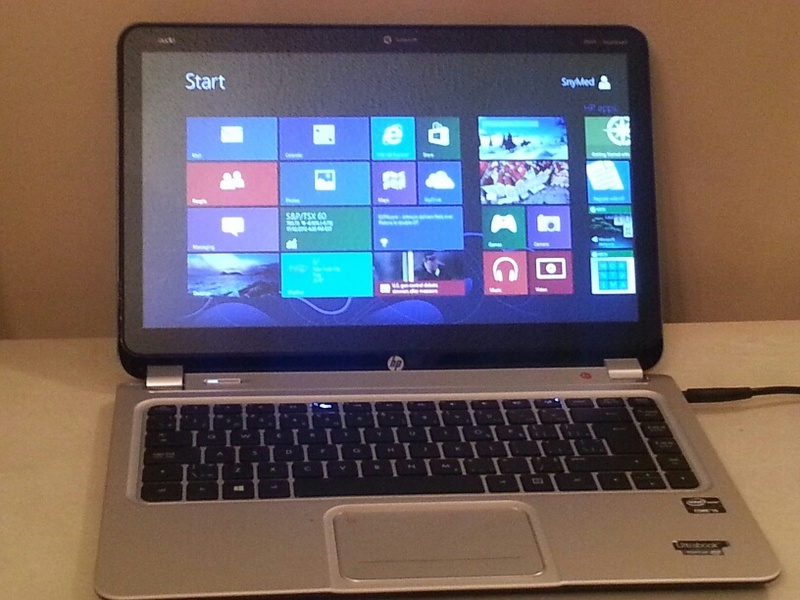 In sum, I really love my new HP Envy TouchSmart Ultrabook 4 and would recommend it if you are considering a new laptop this Holiday season. For just under $1000 Cdn, it is definitely a great value for what you get! Weigh in: Is it time for you to purchase a new computer? What is the biggest flaw or concern with your current computer? 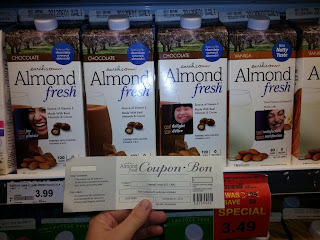 Earth's Own Shelf Stable Almond Milk & CONTEST (~OVER~)! 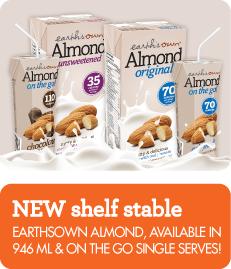 Earth's Own Shelf-Stable Almond Milk! Earth's Own Almond Original is High in Vitamins D & B12! Oh Look! Could that be a PRIZE in my Hand? 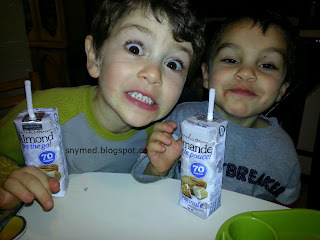 I have been using Almond Fresh in my own household of late, as an alternate to drinking milk. May I confess that I enjoy the chocolate flavour the best, as it tastes very much like chocolate milk? My kids also love it, and I keep finding my carton empty! For the Holidays, there's also Noel Nog, an egg-free, dairy-free egg nog--and a fortified almond beverage! 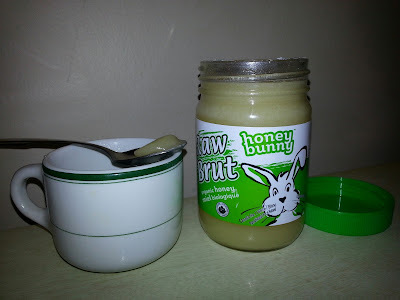 If you're curious about it, do try it this season! Here's even a Noel Nog French Toast recipe on the Almond Fresh Facebook page! 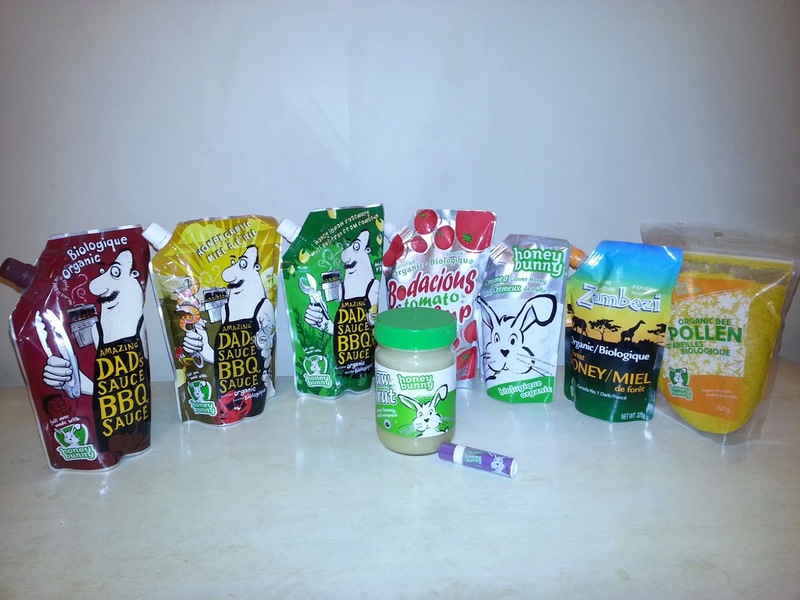 Interested in learning more about Almond Fresh products? Follow them here on Facebook. 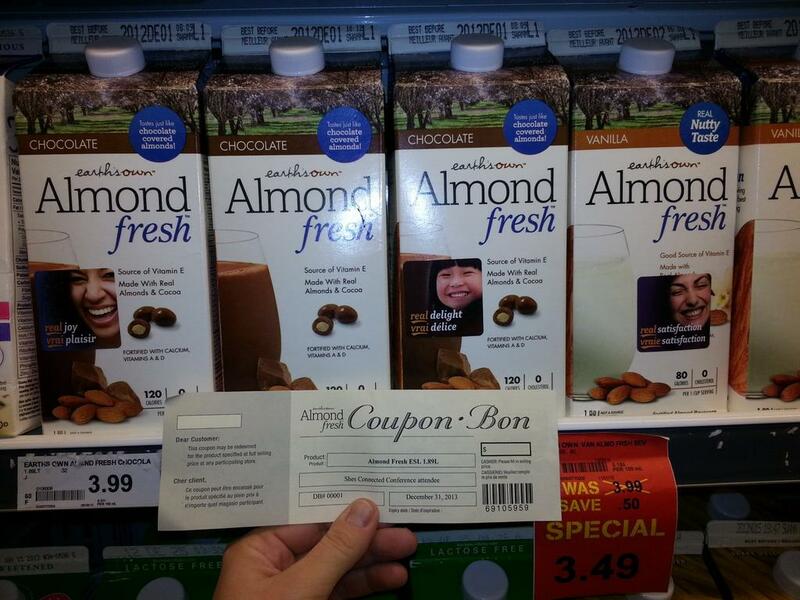 WIN $20 if Almond Fresh FREE Product coupons! Contest runs from Tuesday December 18th, 2012 til Tuesday January 8th, 2013. Open to Canada. HOW TO ENTER? 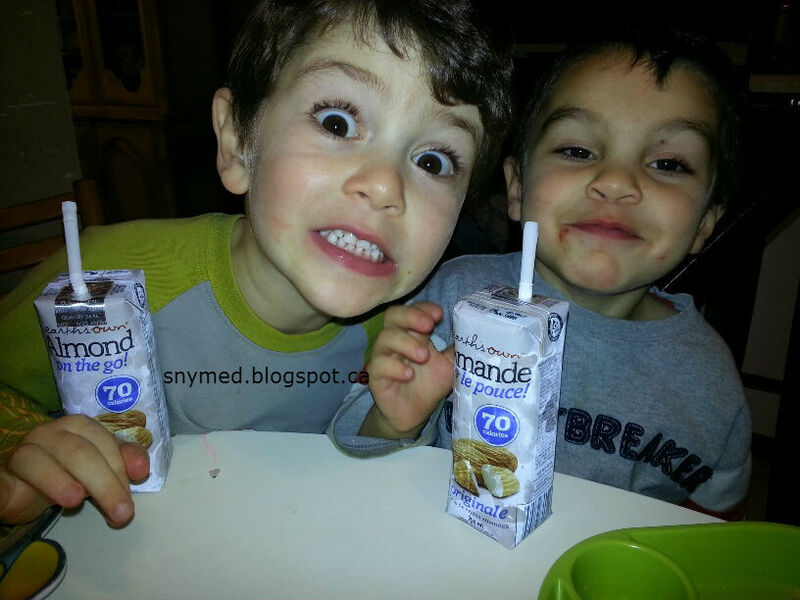 First leave a comment below, stating which Almond Fresh product you or your child would like to try--or if you've already tried it (ie: Noel Nog, shelf-safe almond milk, chocolate almond milk etc). Next, use the entry form below to enter the contest. GOOD LUCK! Maple Leaf Monster Jam is Coming! and CONTEST (~OVER~)! 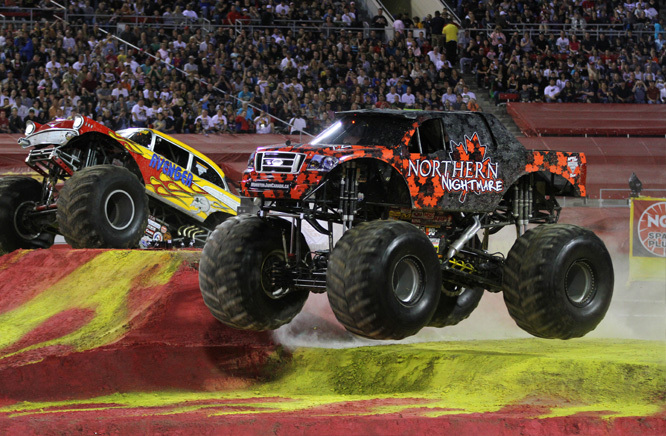 Northern Nightmare Catching Some Air at Maple Leaf Monster Jam! 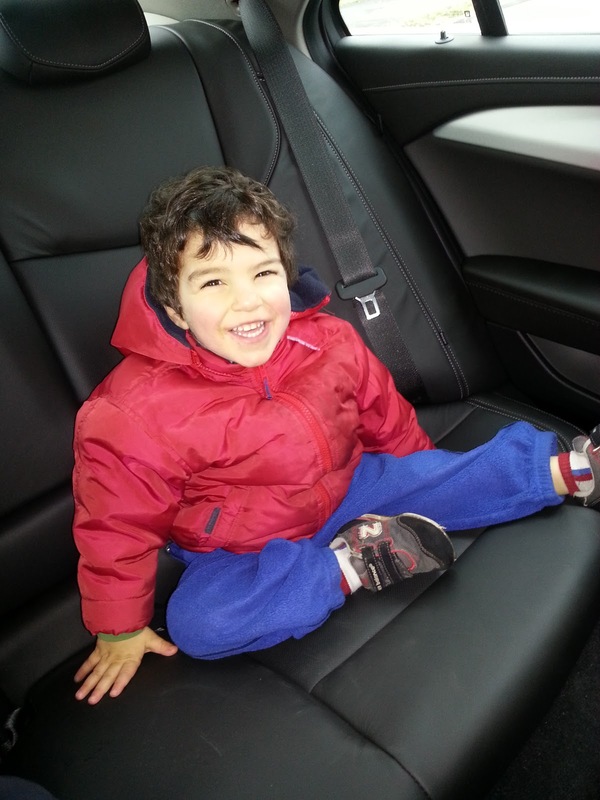 As the mom to 5 kids aged 2 to 7 years, I know it is difficult to find exciting new activities for the kids in the winter months. Especially for my 4 boys, who like to run around the house and get a little wild! On that note, I am pleased to announce that Maple Leaf Monster Jam Tour is coming to the Rogers Centre in Toronto on January 19th & 20th! Are you kids crazy about cars, vehicles, trucks...or MONSTER TRUCKS? Monster trucks are 12 feet tall machines that weigh about 10,000 lbs! Monster Jam is a wild ride that features Monster Trucks tearing up a custom-built track. The Monster Trucks not only rip up this track, but smash through it and soar over the obstacle course too! If you have boys, you know that this is a good thing and sure to get some smiles and cheers! Looking to purchase some discounted Monster Jam tickets? Use DISCOUNT CODE: MUM4 when purchasing tickets. This Promo Code offers $4 off each ticket (limit of 4 tickets per purchase). For more information, you can follow Monster Jam on Facebook, or on Twitter. Here is the official Maple Leaf Monster Jam website. WIN Family Tickets for 4 people to see The Maple Leaf Monster Jam Tour in Toronto! Tickets will be for Saturday January 19th at 7:00pm at the Roger's Centre in Toronto (but please be flexible if case tickets for the Sun Jan 20th show are awarded). First, leave a comment below stating what you (or your child's) favourite Monster Truck trick (ie: flipping over, crushing cars, flying through the air, etc). Then, fill out the entry form, below. Good luck! I hope you WIN! Ends Wed Jan 9th, 2012 at 8:00pm ET. Disney on Ice Presents Worlds of Fantasy & CONTEST! Disney Fairies at Disney on Ice: World of Fantasy! When I was a child, it was a magical experience to visit the Icecapades. The costumes, the lighting, the music, and the figure skating all made the show a wonderful experience! Since that time, we've come a long way baby! Disney on Ice Presents Worlds of Fantasy promises to be a performance that will challenge any old notions that you have of the Icecapades--and will take the show to the next level! Take a look at the costumes, the lighting and the sets! Your kids will have the chance to see some of their favourite characters at Disney on Ice Presents Worlds of Fantasy! There will be Disney Fairies, The Little Mermaid and Prince Eric, the Toy Story gang, Lion King "pride", and Cars characters like Lightning McQueen and Tow Mater! Lighting McQueen, Tow Mater & the Cars Gang! 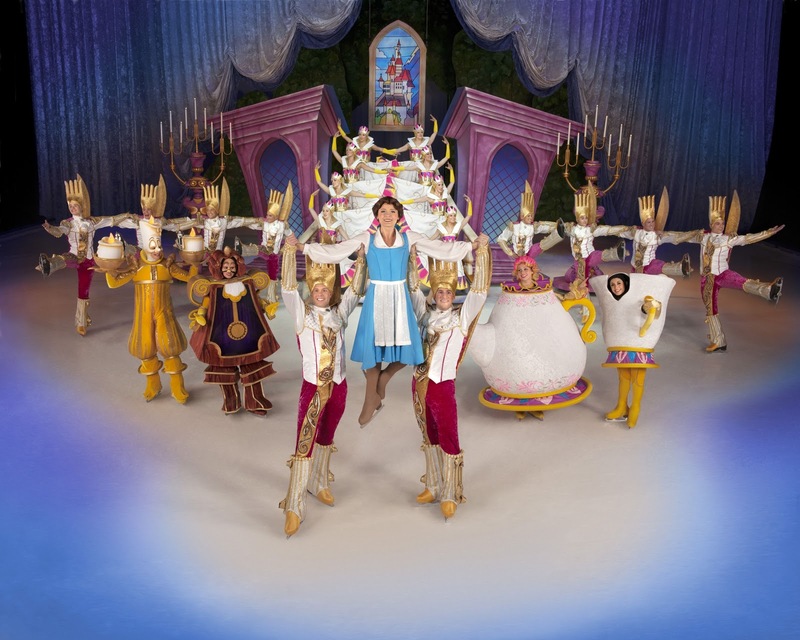 Disney on Ice: Worlds of Fantasy is coming to the Roger's Centre in Toronto from December 21st-30th, 2012! Use DISCOUNT CODE MUM4 to purchase 4 tickets for $44 on weekdays, or $4 off per ticket on weekends. This PROMO CODE is the best discount I have seen for this show so far! WIN Family Tickets for 4 to see Disney on Ice Presents Worlds of Fantasy in the Roger's Centre in TORONTO, on Fri Dec 21st @ 7pm. (Please note: date and time of tickets may be changed prior to contest closing.) 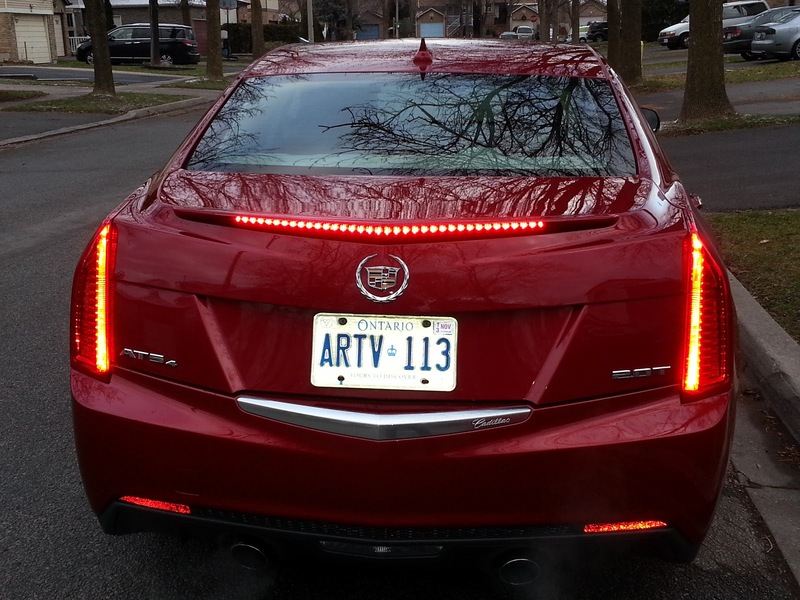 Open to CANADA, runs Wed Dec 12th to Sun Dec 16th, 2013 @ 8:00pm EST. IMPORTANT: As this is a flash contest, I will be contacting the lucky winner on Sun Dec 16th just after 8:00pm EST. Check your e-mails & spam at that time! Leave a COMMENT below stating which is your or your child's favourite Disney character (Disney Pixar okay too)! Then use the ENTRY FORM to enter. Good luck, I hope you WIN!